We ended up getting a late start and left in the evening. 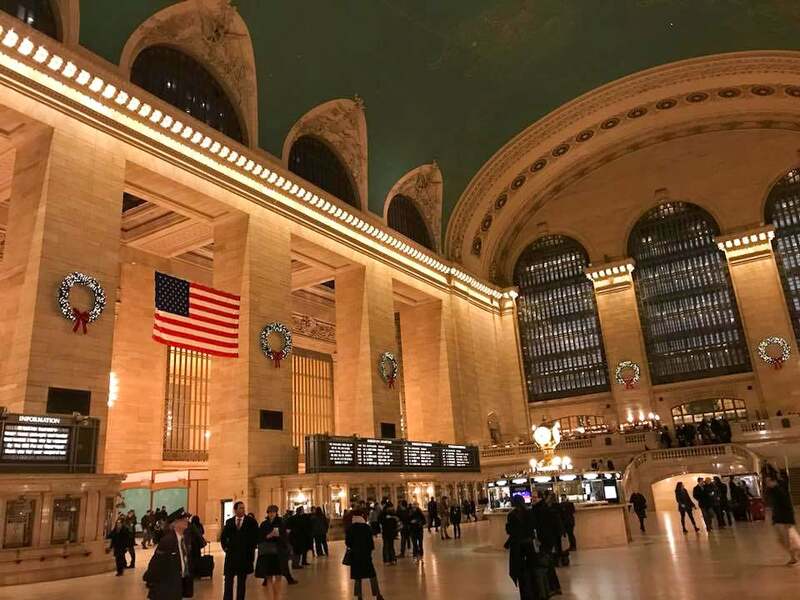 My dad drove us from Massachusetts to New Haven, CT and we took the Metro North into Grand Central Terminal, which was about a two hour long train ride. By the time we checked in we were pretty tired, so we just walked around for a bit and went back to our room to get a good night's sleep. 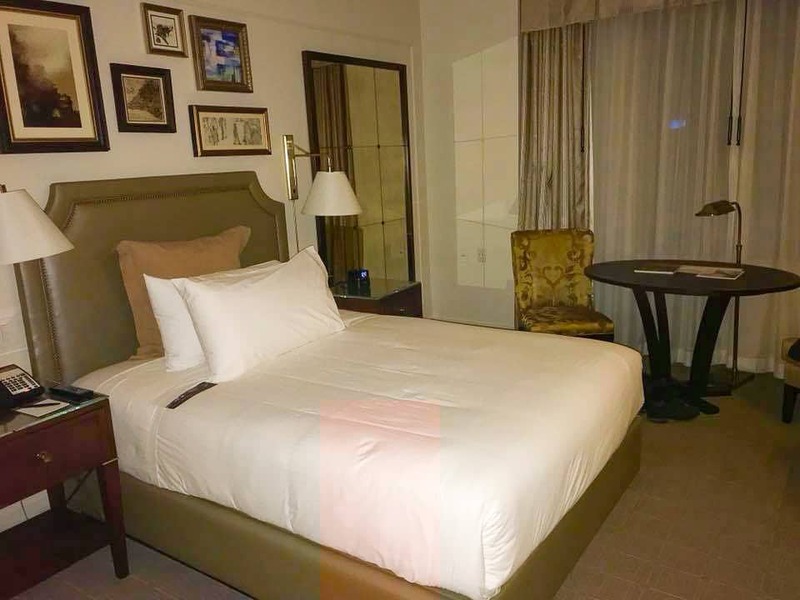 We booked three nights at the InterContinental New York Barclay, which is located in Midtown Manhattan. 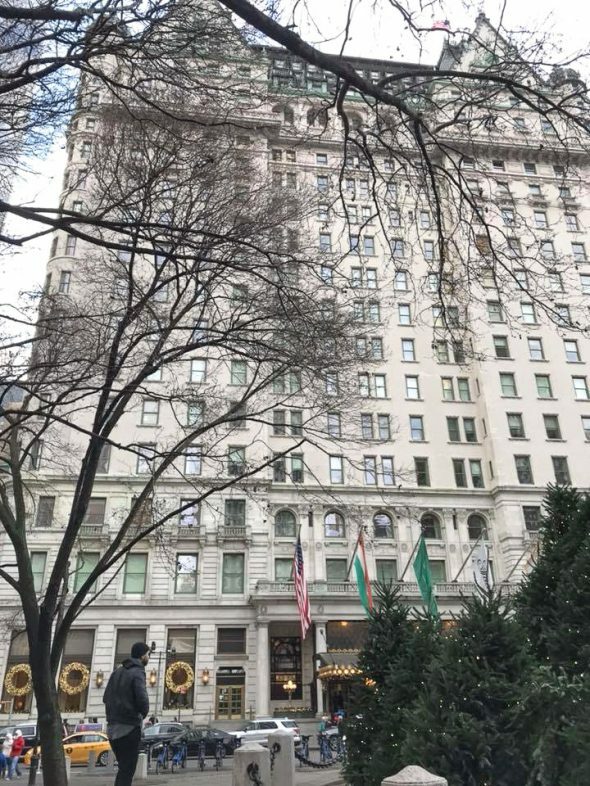 I loved that the hotel is situated near all the touristy hot spots: Central Park, Rockefeller Center, Park Avenue, Fifth Avenue, and Times Square. The hotel had an old world charm and glamorous feel to it, like it was restored from the 1940’s. 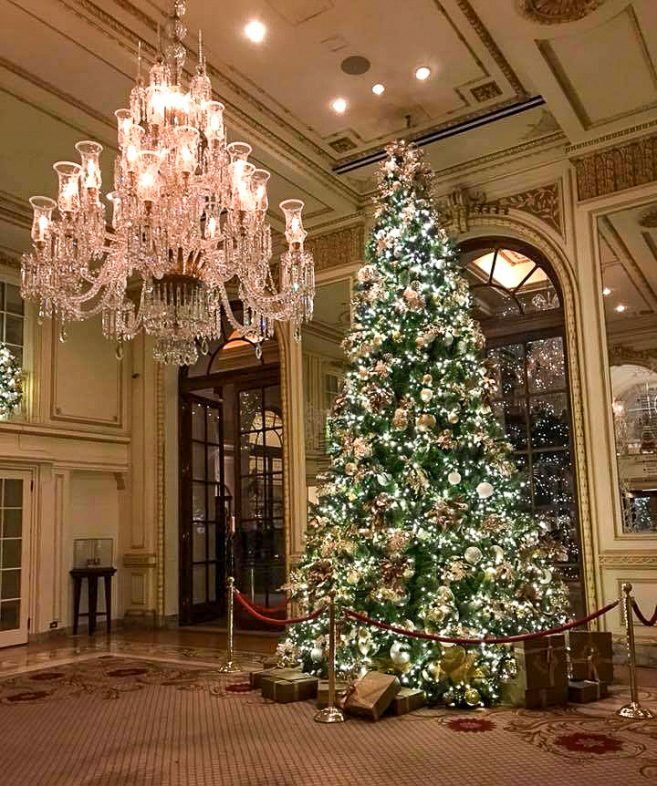 The lobby was beautiful with a huge Christmas tree decorated in gold. 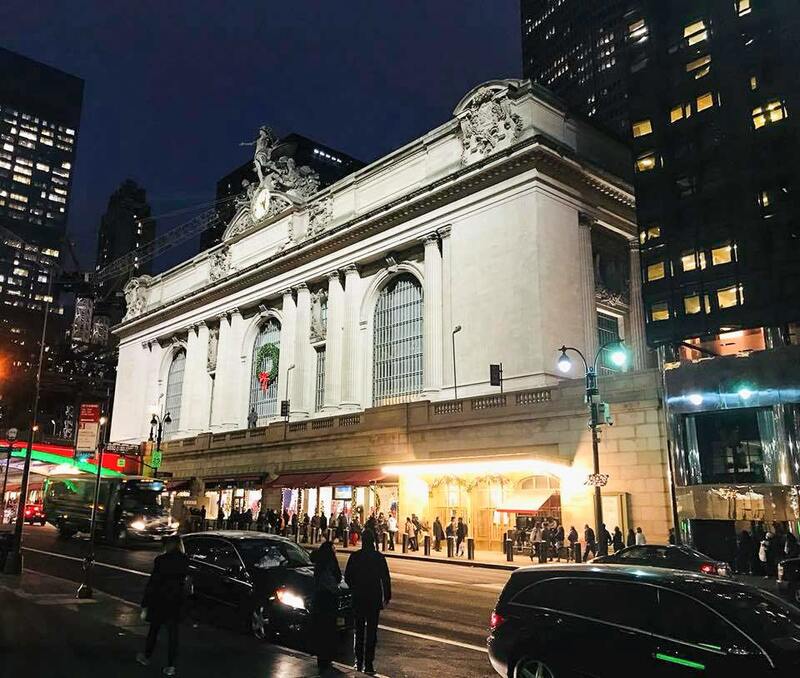 We decided to stay close by the hotel and visit all the Christmas sightseeing spots in Midtown. When we woke up we were starving, so after getting ready we stopped in the first restaurant we saw which was Raffles Bistro. 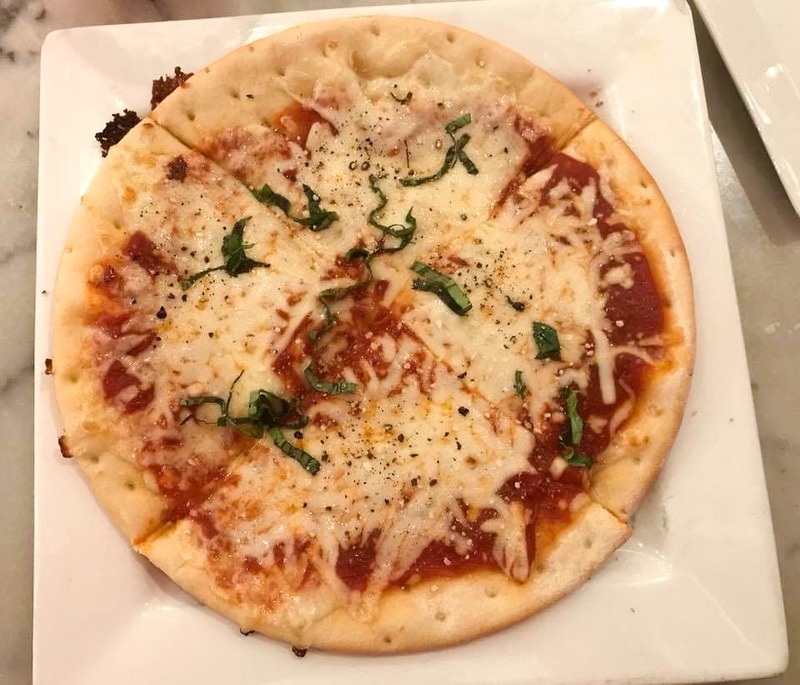 I ordered the margherita pizza which was pretty good, and my boyfriend ordered one of their specials for the day which was a shrimp pasta in a cream sauce. After all the calories we had just consumed a nice long walk was in order. 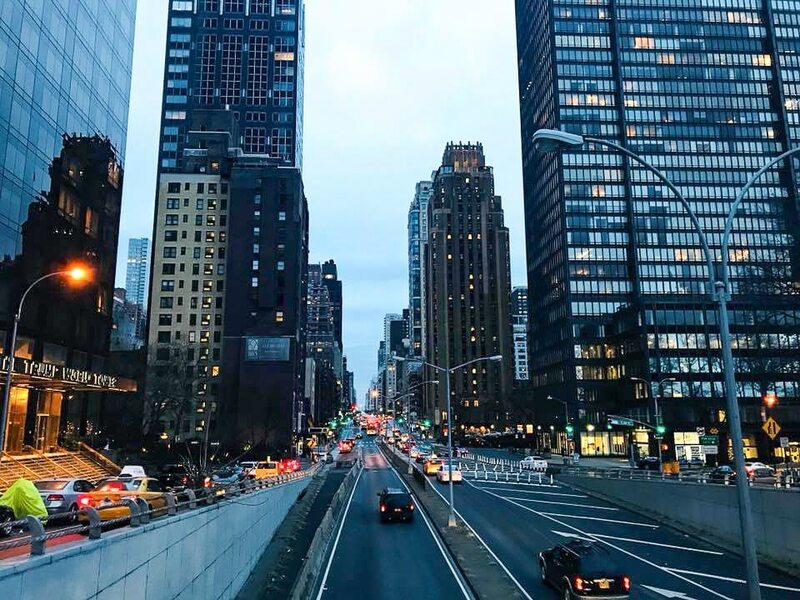 We headed to an area that neither of us had been to, which was Midtown East and walked close by the East River to take in the skyline views of Roosevelt Island and Queens. 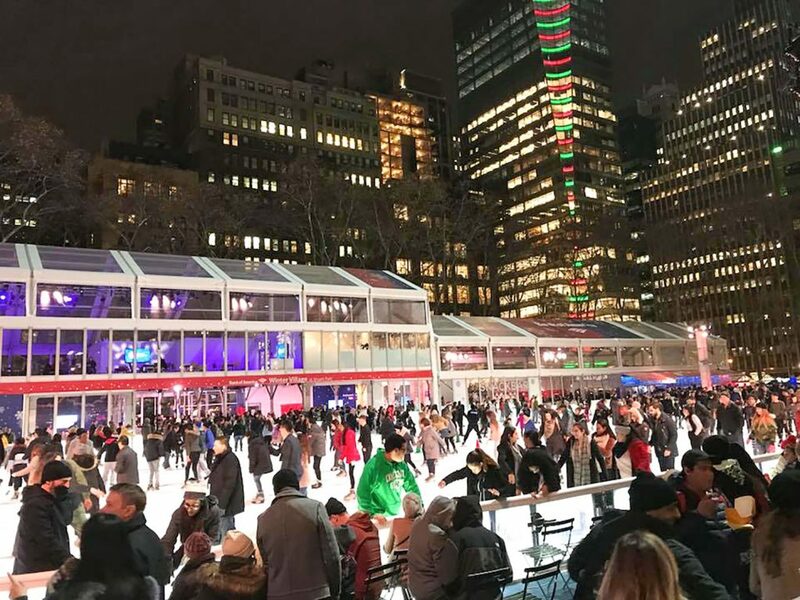 We had been to Bryant Park in the past, but we had never seen The Winter Village which was something we’ve always wanted to do. We walked around and stopped in some of the little shops (there are over 150 of them) like, Jet Set Candy, Woops! Macaroons, Melsy’s Illustrations, Pinky Pilots, Strand Bookstore, and MarieBelle Chocolates. If you’re looking for the ideal holiday gift, this is the place to go! You can literally find something for everyone on your list. 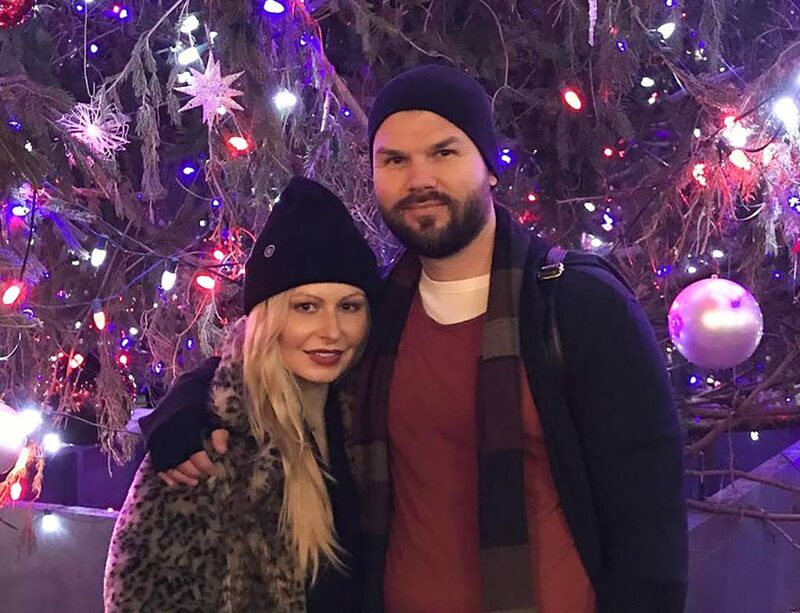 After that we stopped by the giant Christmas tree adorned in purple, red, and blue lights. We were pretty tired from walking around all day so we decided to grab a hot cocoa at Public Fare which overlooks the ice skating rink. We sat back and relaxed while listening to the Christmas music and watched all the skaters skate by. 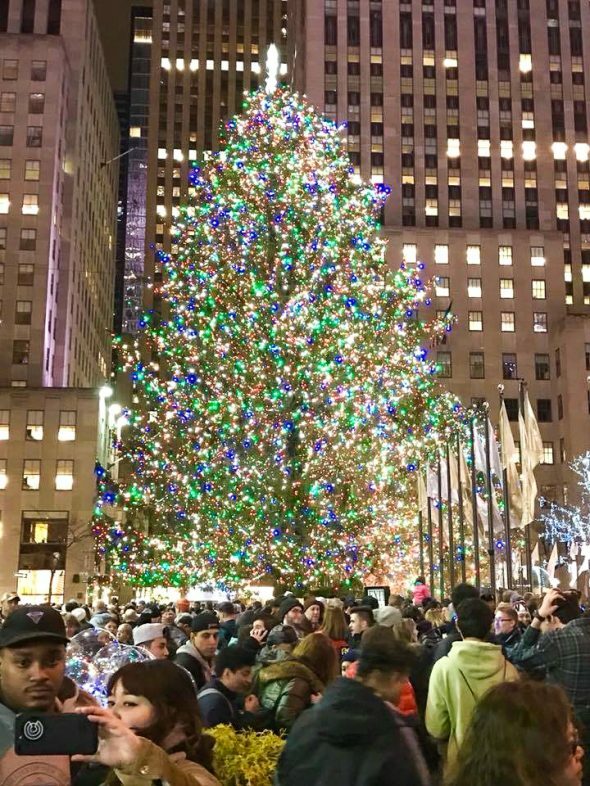 We then choose to head back to our hotel for a little while but we were near the Rockefeller Christmas Tree, so we braved the crowds to stop by and view it. 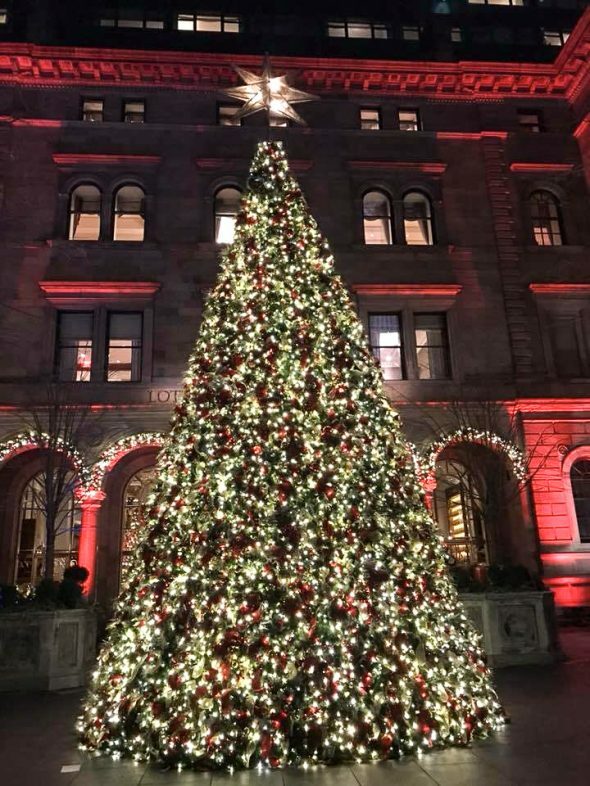 It’s something we had seen before, but Christmas Time in New York City isn’t complete without stopping by for a photo. As we exited Rockefeller Center we stopped by one of my favorite holiday displays, the Saks Fifth Avenue LED light show. It’s just so magical that we didn’t care about having to force our way through the large crowds to view it. 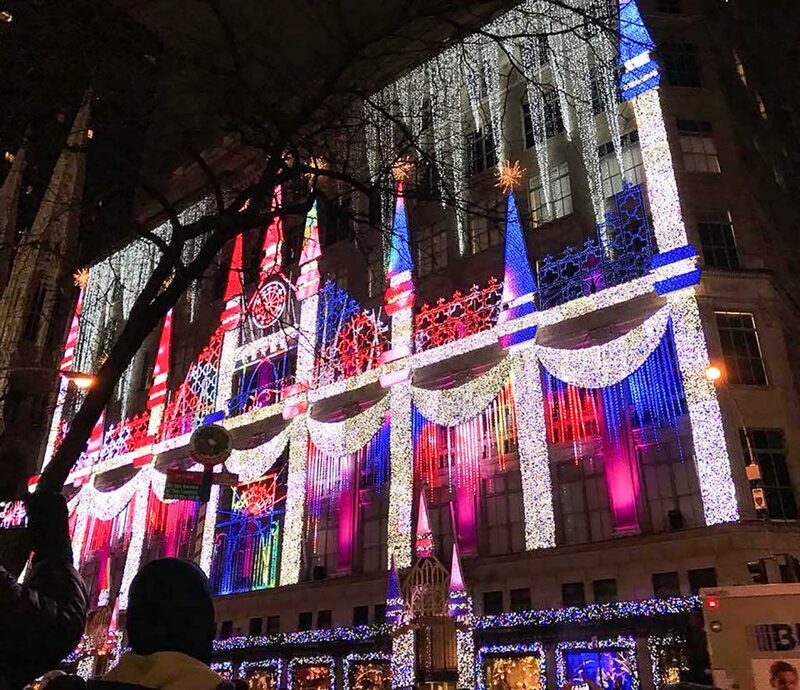 The light show is a giant candy castle that covers Saks’ building, and is set to music. It features over 200,000 crystals, and over 300,000 points of light that dance to the music that blasts from the speakers. It’s truly breathtaking. 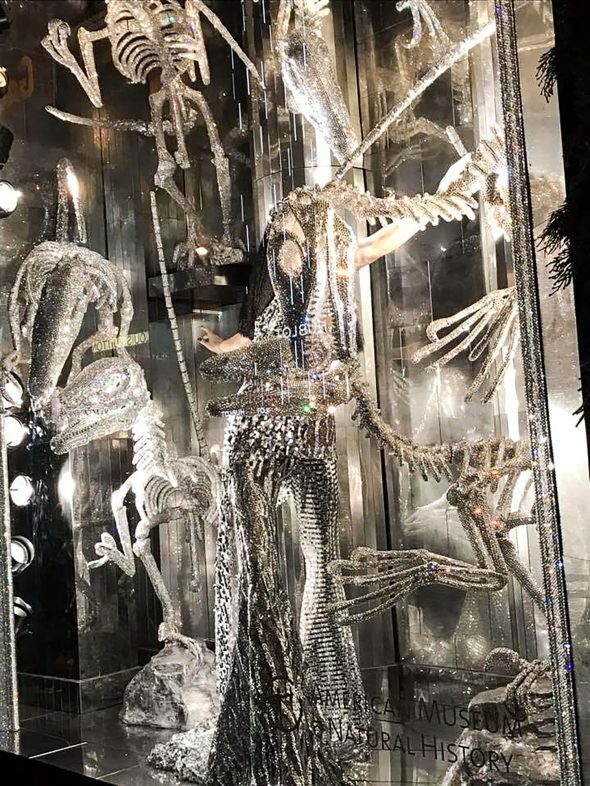 NYC + 5th Avenue + December = The most amazing window displays that are literally works of art. Since it was getting late most of the stores were already closed so we walked around and admired all of the intricate designs. 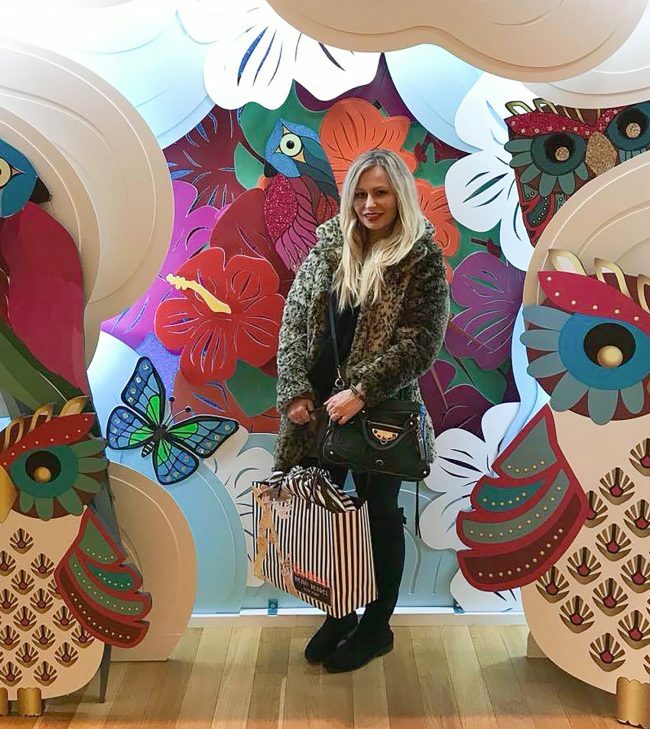 My favorites were the 3 B’s: Bergdorfs, Bloomingdales, and Bendels. 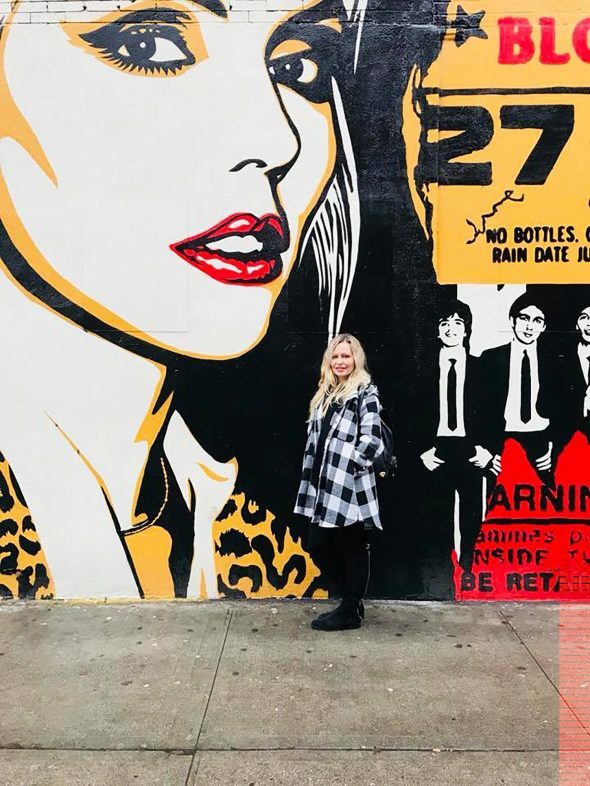 We made dinner reservations for my birthday so we took the subway to the East Village to do some sightseeing before it was time to eat. 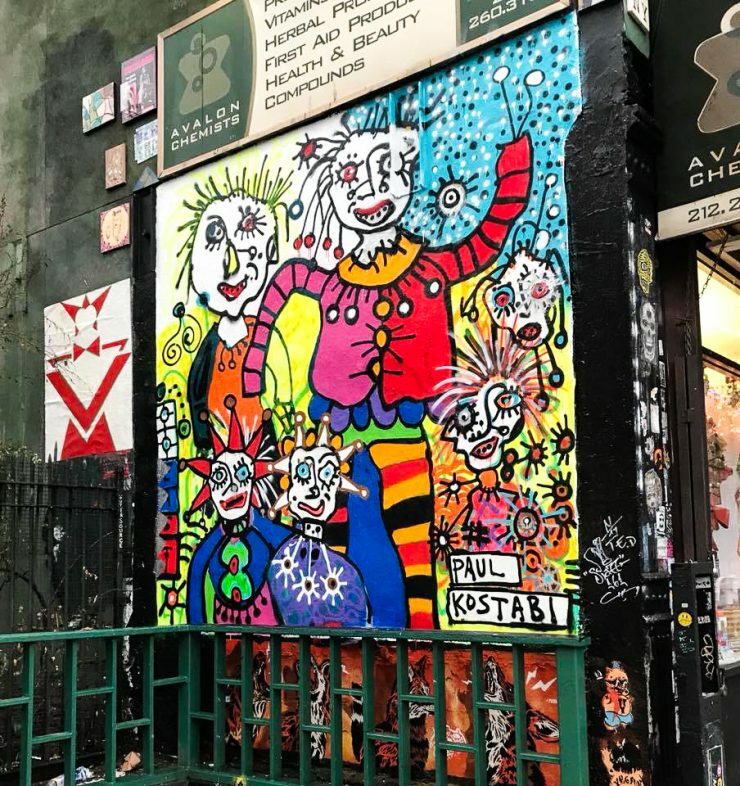 I became obsessed with all the cool murals and shops that we past by, so I had to stop and take photos. 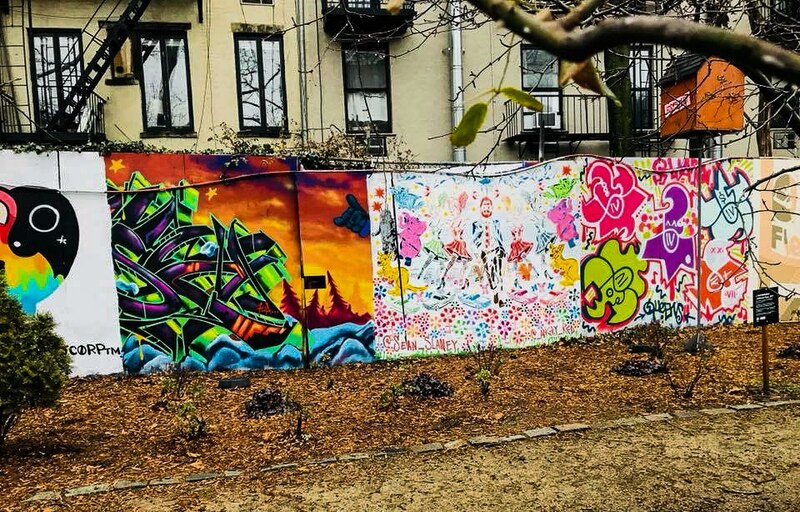 What I love about the East Village is that it has such a different feel to it than other parts of New York. It’s a lot less chaotic and has a more chill, hipster vibe. Before we even headed to NYC, I had chosen where I wanted to have my birthday dinner, which was at Gnoccheria. I’m a huge fan of gnocchi in general, and heard that this place was amazing. 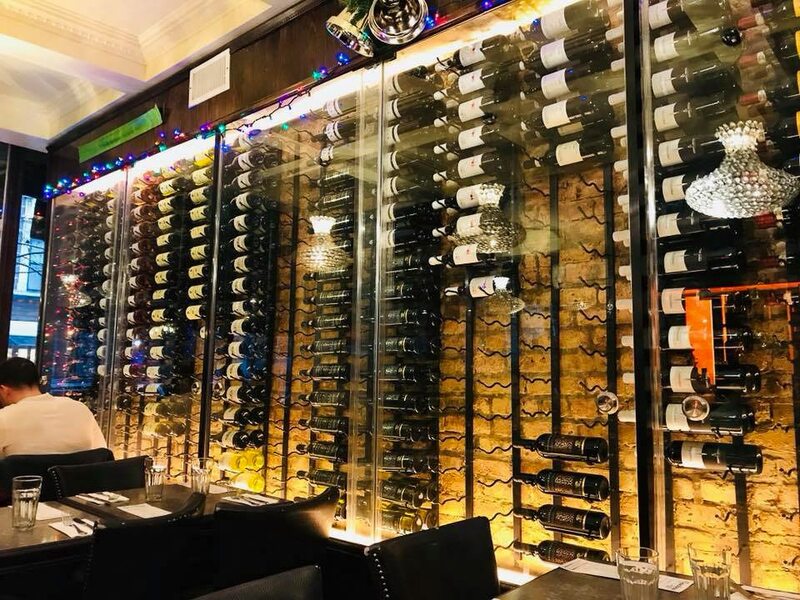 As you walk in there’s a little bar to your right and on the left the wall is stacked floor to ceiling with wine. 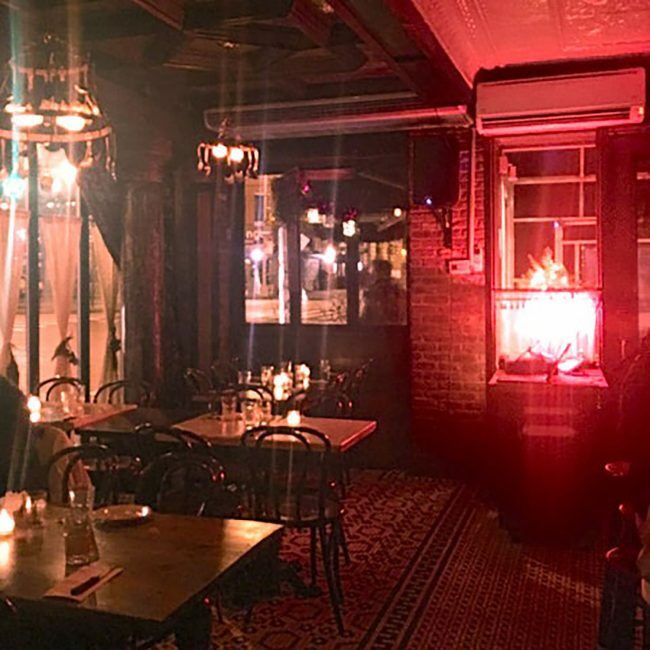 The eatery is very small (only a few tables), so it’s very cozy and intimate. 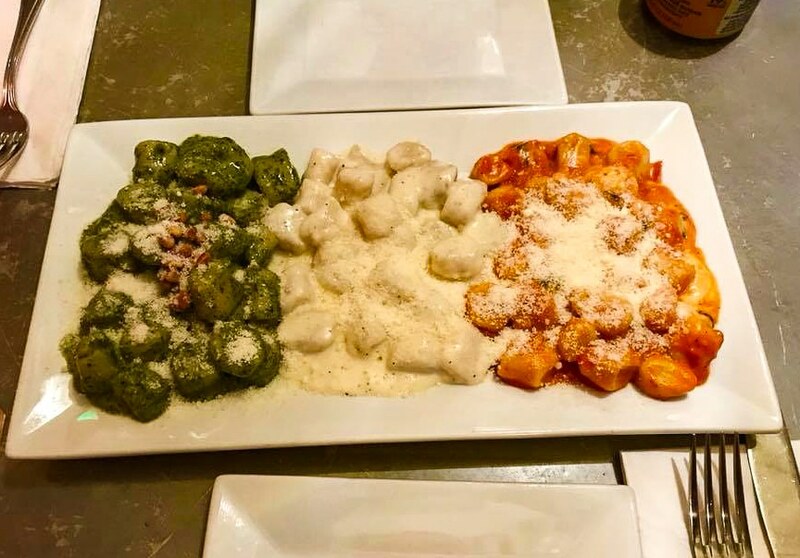 My boyfriend and I spilt the Tris Signature Dish, which was three different types of homemade gnocchi: pesto genovese, quattro formaggi, and sorrentina. It was the best gnocchi I’ve ever tasted, my favorite was the sorrentina. 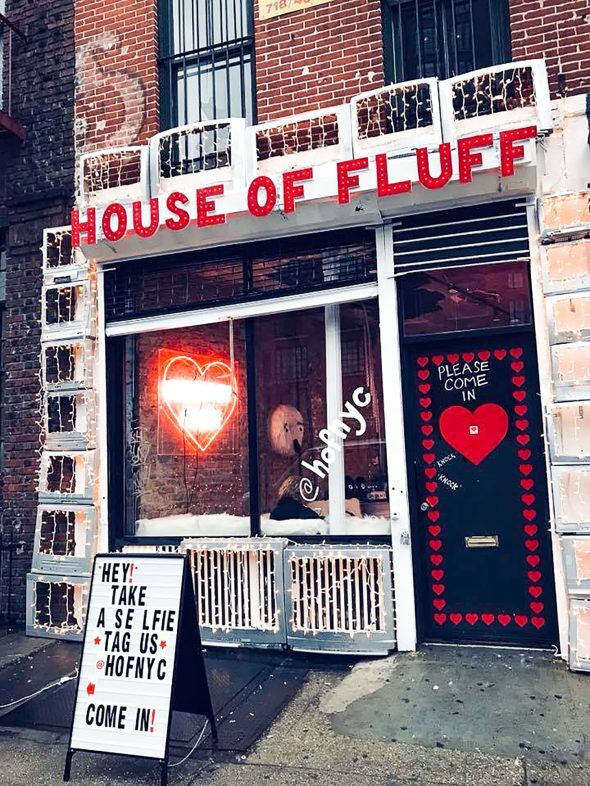 After we left Gnoccheria we took a walk along Spring St. in Soho, and came across the coolest looking exhibit called Bliss! 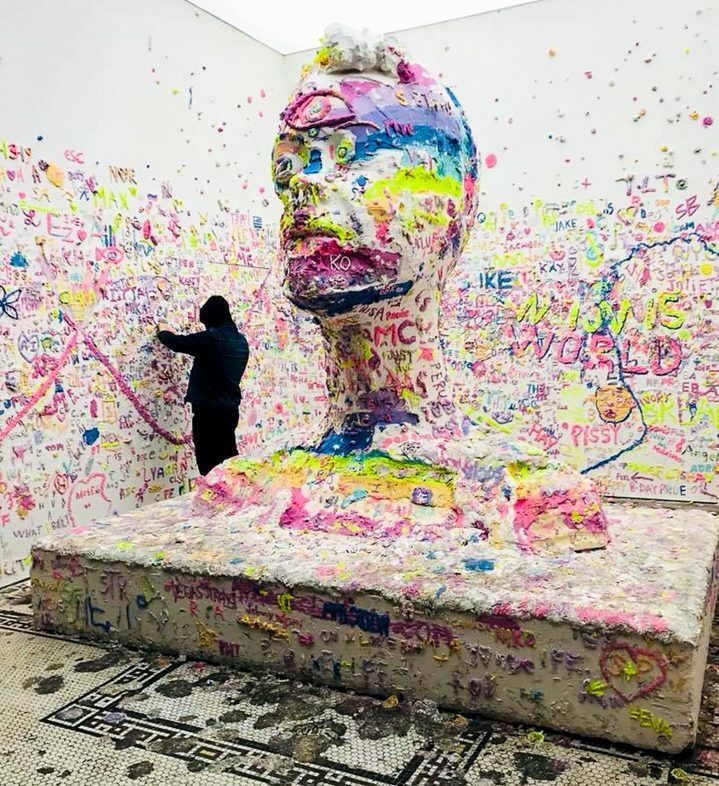 You walk inside a small room and the floors, the walls and a giant sculpture of Katy Perry are covered in color pastel clay.This larger-than-life exhibit is by artist, Urs Fischer in collaboration with Katy Perry for her album Witness. The interactive room allows visitors to add their own personal messages with the clay; making the room forever changing. This was another place I had picked out ahead of time. I kept seeing photos of the Flour Shops rainbow explosion cake and wanted to try it so badly! 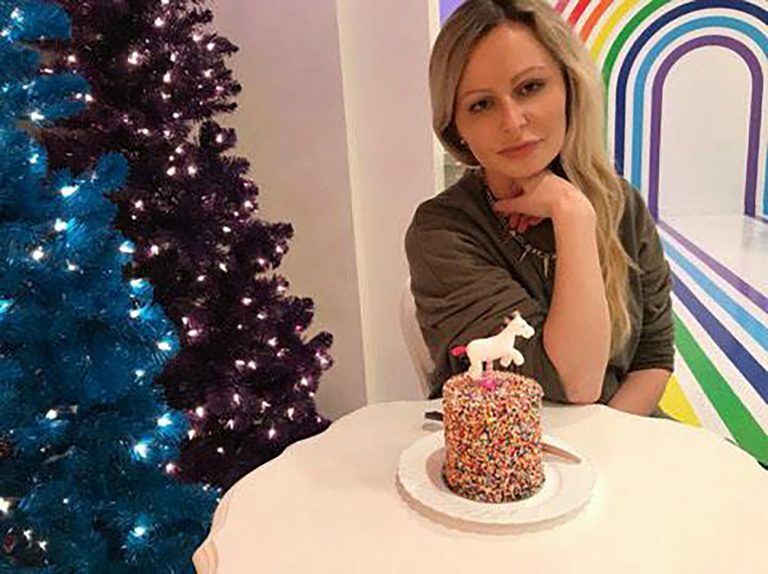 When we entered the little bakery the Christmas trees, the colorful rainbow painted on the wall, and the white chic furniture made it the perfect place to capture some eye-catching Instagram photos. 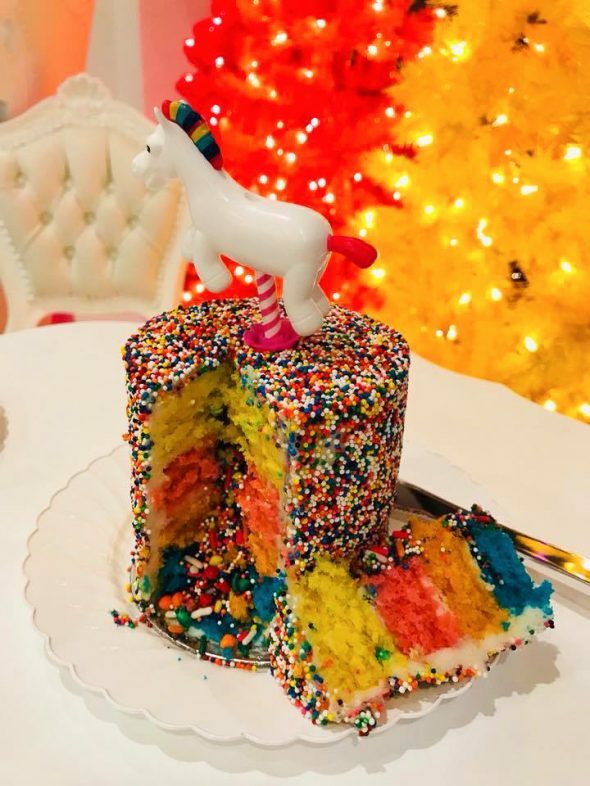 I ordered the mini explosion cake which was covered in sprinkles; placed my unicorn cake topper on it that I had brought from LA; and posed for some photos. We then took a video of me slicing the cake to capture all of the sprinkles, and jimmies pouring out. The cake was delicious and we had enough left over to enjoy later that evening in our hotel room. We asked for a late checkout so we could pack and get ready for Christmas Eve. 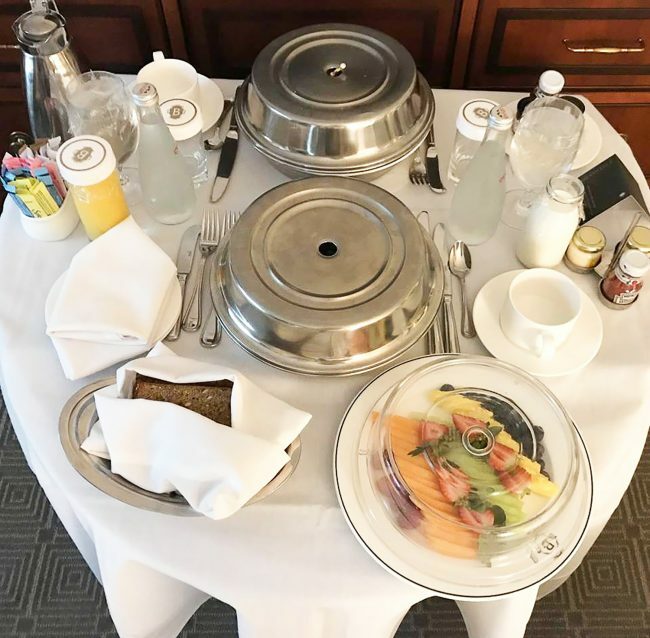 Instead of going out for breakfast we decided to order room service. 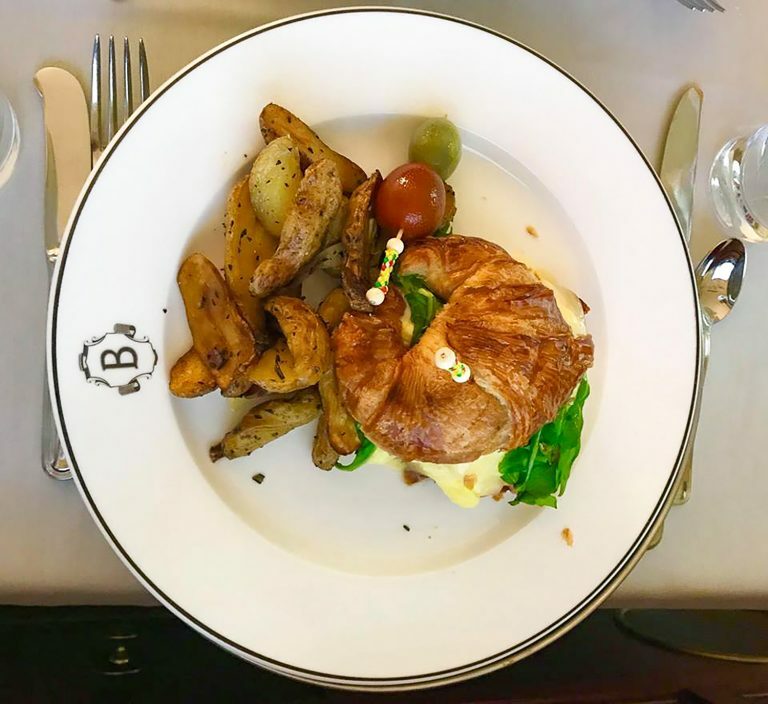 I ordered the egg and gruyere croissant without bacon, and orange juice. My boyfriend ordered a spinach omelette, and coffee. Both were exquisite and came with a plate of fresh fruit, pastries, jams, and Evian water. 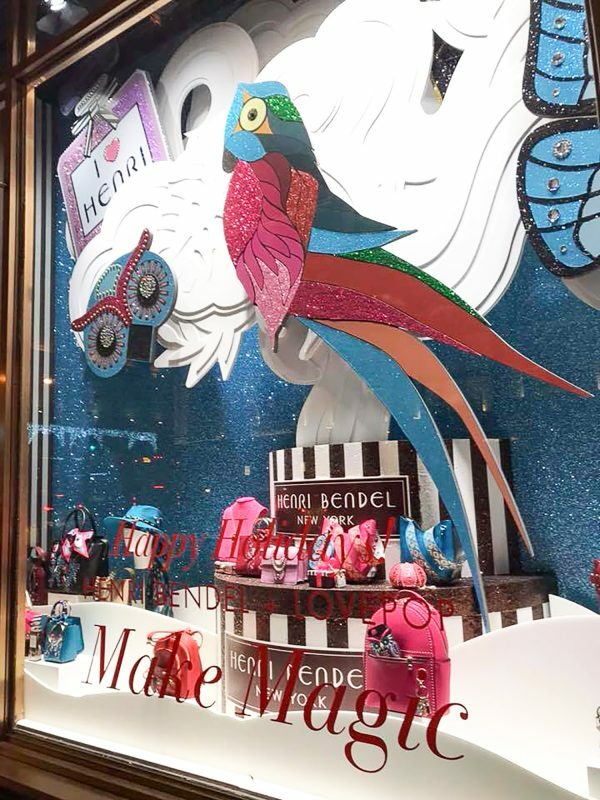 I was on the hunt for a new everyday handbag and needed a new wallet badly; so of course Henri Bendel was where I wanted to go! The flagship 5th Avenue store has two floors filled with the luxurious things. From jewelry and handbags; to home decor and fragrances. After going back and forth, I ended up choosing the limited edition Carlyle Snake Embossed Satchel and Dalton Metallic Studded Long Wallet. 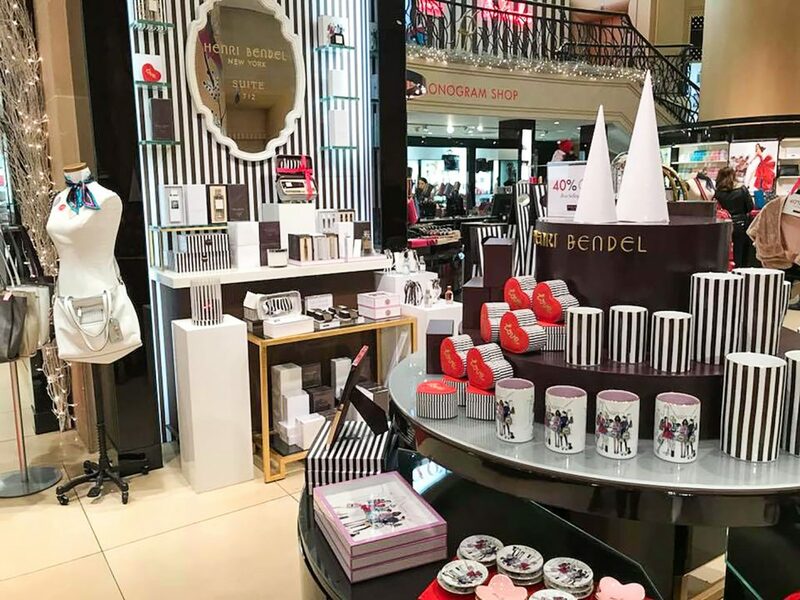 Bendel's is where I go when I want to treat myself or buy a gift. 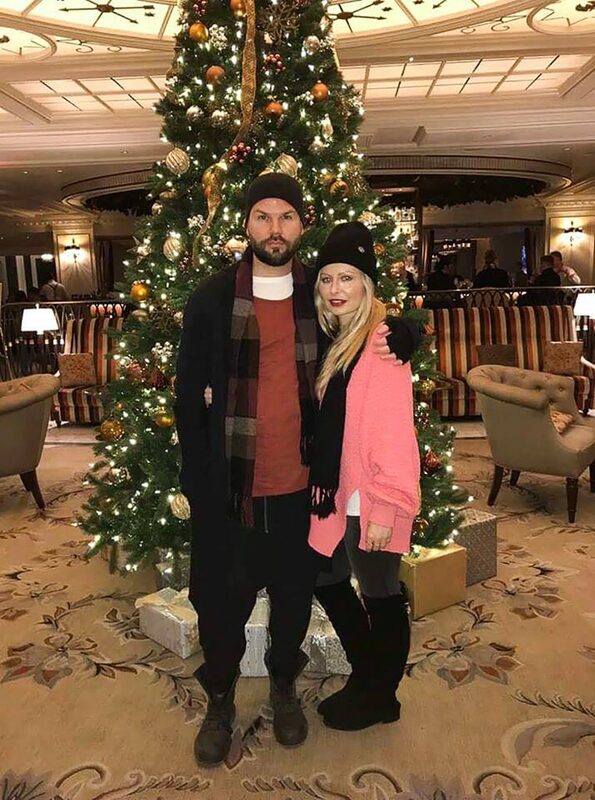 After shopping, we headed to The Plaza (one of my favorite hotels). When we first arrived we were greeted by Santa which really added to the Christmas feel. 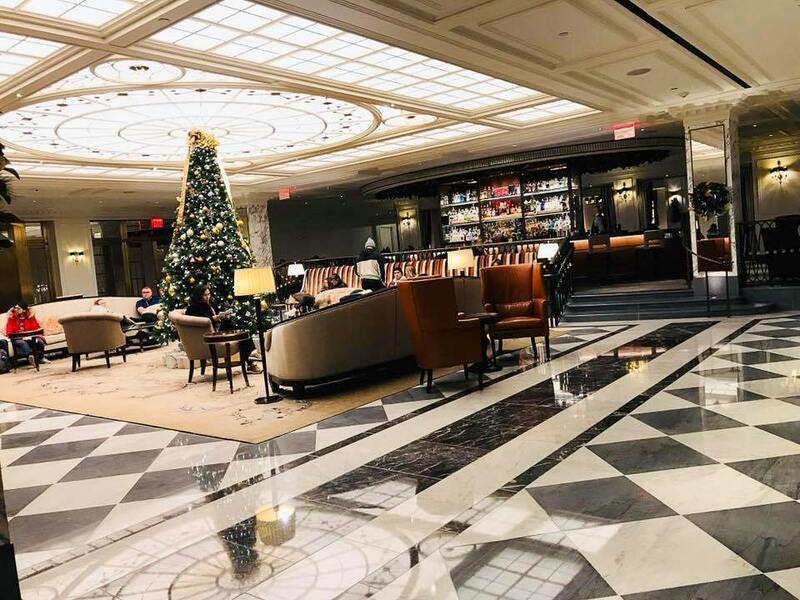 We stepped into the lobby to admire the Christmas tree, and then headed downstairs to the shops and The Plaza Food Hall. Since we knew we would be having Christmas Eve dinner, we just wanted a little snack, so we got some macaroons and hot cocoa. We then stopped at The Eloise Shop and I had to buy a few things which is a tradition every time I’m in the city. 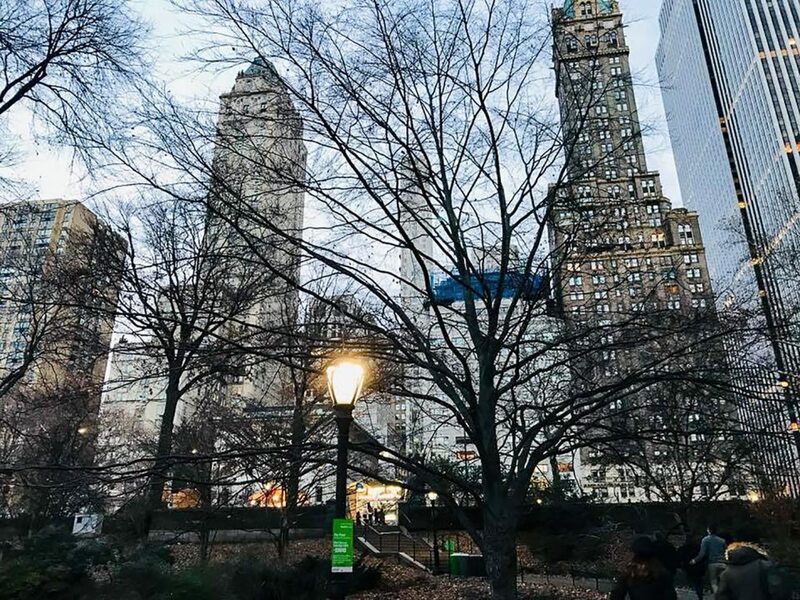 We needed to be at my sisters in Brooklyn in an hour so we didn’t have a lot of time, but what is Christmas time in New York City without taking a stroll through Central Park? By this time it was starting to get dark and it was freezing so we took a quick walk by the pond, took some photos, and viewed the gorgeous architecture of the skyscrapers that were surrounding us. We then had to head back to our hotel to get our luggage. 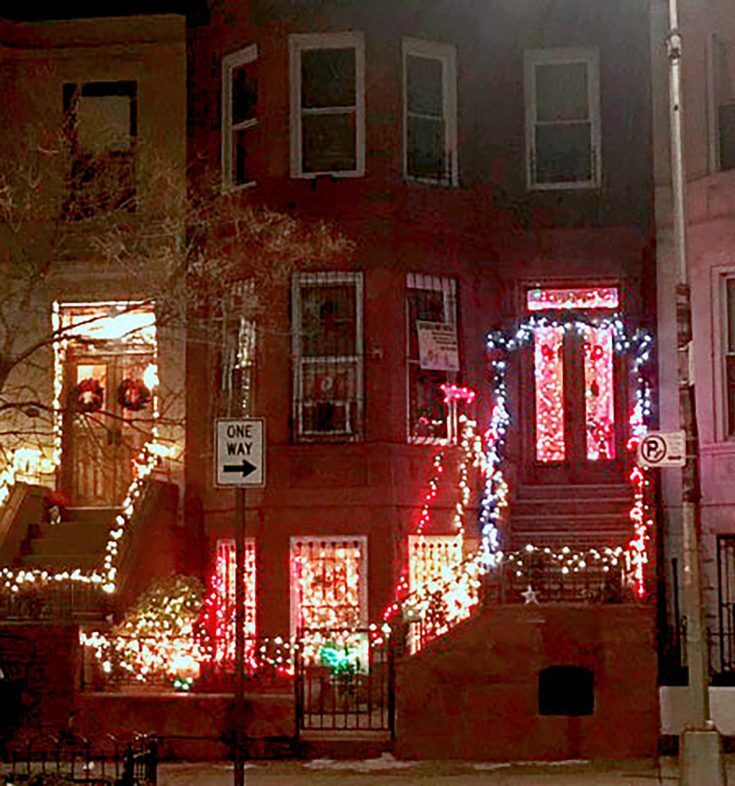 We grabbed our luggage and took a Lyft to my sisters place in Crown Heights, Brooklyn. I always love the drive going over the bridge while viewing all of Manhattan skyline lit up at night. We met up with my parents, my sister and her boyfriend and then headed back to the East Village for Christmas Eve dinner. My sister made Christmas Eve dinner reservations at a hip Italian eatery called Sauce. I ordered a glass of pinot grigio and the margarita pizza which was huge and delicious. The atmosphere was very cozy and warm. We all enjoyed our dinners and had a great time. As we exited the restaurant the snow started to fall. By this time it was getting late so we all headed back to my childhood home in Massachusetts to celebrate Christmas the following day. When I woke up in the morning there was about 6 inches of snow on the ground making it the white Christmas that I had hoped for! We opened presents, lit a fire, ate tons of food, played in the snow, and watched movies all day. It was a perfect Christmas.